Norfolk Network was delighted to collaborate with our Gold Sponsor, City College Norwich to welcome one of the UK’s most inspirational female entrepreneurs, Sahar Hashemi. 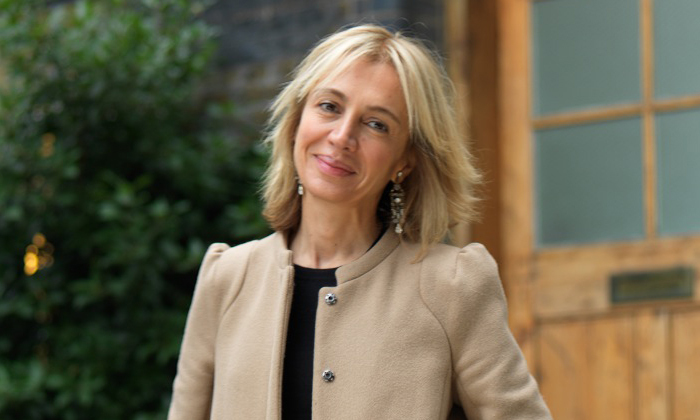 Sahar Hashemi founded Coffee Republic, the UK’s first US style coffee bar chain with her brother and built it into one of the UK’s most recognised high street brands with 110 bars and a turnover of £30m. Sahar left the day-to-day management of Coffee Republic in 2001 and published a bestselling book “Anyone Can Do It – Building Coffee Republic from Our Kitchen Table”. It has been translated into six languages and is the second highest selling book on entrepreneurship after Richard Branson. In 2005 she founded Skinny Candy, a brand of sugar free sweets which was sold to confectionery conglomerate Glisten PLC in 2007. Her most recent book, “Switched On”, published in 2010, focuses on eight habits that foster a more entrepreneurial mindset for employees. Over a networking buffet lunch, heard Sahar’s experiences and lessons learnt in business.